Not sure why the top version shows retail, the installation .iso and key are coming from our volume license dashboard. 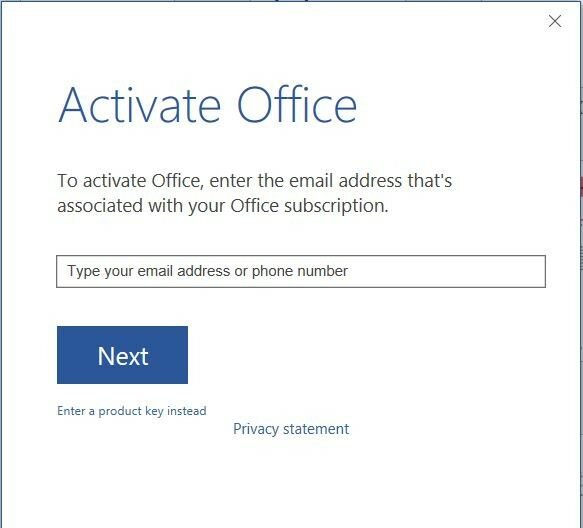 How is the process in the video activating Office? I need to ensure I am legal. I get a different activation prompt than shows in the video. It seems the installation thinks it is an O365 installation. Ive just sent you the download link of Office 2016 volume edition. Please check your emails inbox. I think you should completely uninstall your old Office before installing the new one. I see that you made a mistake on entry. Please copy and paste the command intead of typing. Nothing against you, but I won't download installers from sites other than the OEM. I seemed to have found a solution here. 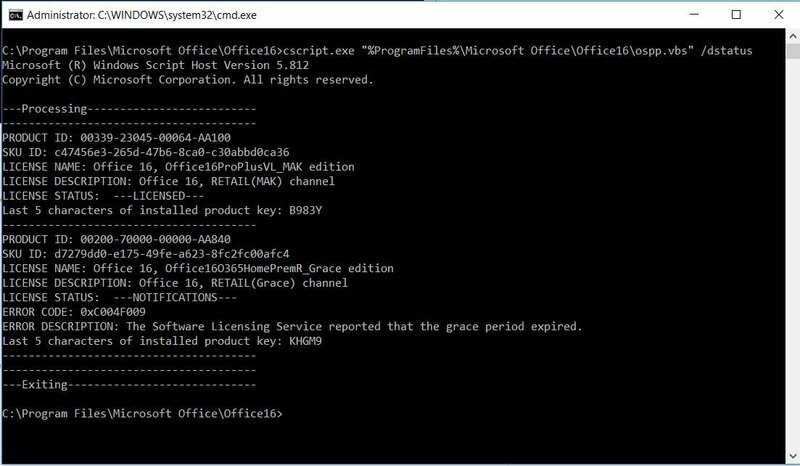 Running the script below removed the key and record associated with the Office16O365HomePrem installation. Just substitute your affected key for "KHGM9". Uninstalling the trial license key isnt much help in your case.